NCR Synergy is the premier retail and hospitality technology conference bringing together hundreds of retailers, including restaurants, wholesale, and brick-and-mortar. Intel is always proud to both be a part of the event and power many emergent technologies that will be showcased at the show. Read on for a sneak preview of what to expect, and check out our ongoing coverage as the week progresses. We will be showcasing innovative and cost efficient digital signage solutions powered by Intel NUC and Compute Stick. NUC delivers maximum configurability while Compute Stick is the size of a stick of gum, is powered by Intel Atom or Core M processors and can provide full computing support for any entry-level signage need. Compute Sticks are based on the same x86 architecture as the rest of your in-store systems so they can be easily integrated into your existing infrastructure. What’s more, Compute Sticks with the Intel Core m5 processor even support Intel vPro Technology giving you superior performance and the power of out-of-band remote management for all of your signage needs from menu boards, to smart kiosks to self-order stations — you just have to think beyond the sign. Most of NCR’s POS and self-service solutions demoed at the show will be powered by Intel technology. Powered by the latest 6th generation Intel® Core™ vPro processor, the NCR RealPOS™ XR8 offers power, security, and versatility in one of the smallest form factors in its class. Intel focuses on safer, more secure transactions by protecting both above and below the OS through advances Whitelisting and Hardware enabled security like Secure Boot, Disk Encryption and USB port control just to name a few. 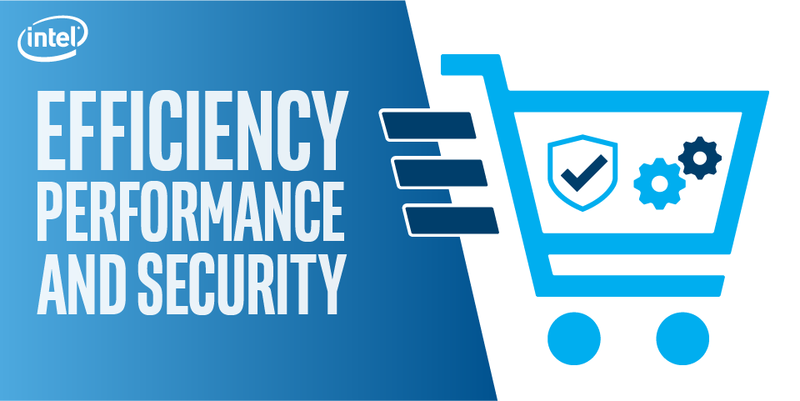 And Intel’s Data Protection Technology goes beyond card information and protects any and all personal identifiable information making shopping more fun and carefree. NCR and Intel are at the forefront of helping retailers take advantage of advances in cloud computing, mobility, big data and the Internet of Things. Together, we offer new ways to engage and captivate consumers and lead how the world connects, interacts and transacts with business. We look forward to seeing you in Dallas and encourage you to follow along with NCR on social media @NCRCorporation, #NCRSynergy or watch highlights from the event on NCR’s YouTube channel.